Maximize your time and travel smart designing an itinerary that enables you to visit sights at the best possible times. In order to get between destinations smoothly, don’t be too ambitious and plan doable stretches. Additionally, tips on taking trains and buses, as well as renting a car and driving are provided. Thanks to its strategic geographical position, Madrid is a very well communicated city and offers easy transport combinations to reach other cities and regions within Spain and in Europe. 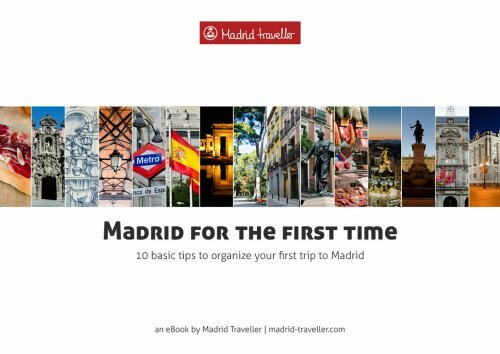 To help you choose when and where to go, here is a selection of the most interesting destinations to either go from Madrid or on your way to. Barcelona. A vibrant city full of history and an incredibly original architecture, Barcelona is the cradle of Modernism. Thanks to its lively culture and a passion for cutting edge art, the city is nowadays Spain’s most cosmopolitan corner. Seville. Once the gateway to the Americas, Seville is a romantic city invaded by the passion of bullfighting and flamenco. Apart from its major sights, the Alcázar and the Cathedral, Seville’s charm relies on its orange trees, its colorful houses and its tangled cobblestone alleys. Córdoba. The Mezquita –the great mosque built in Córdoba, stands as one of the earliest and greatest monuments of Al-Andalus, as the Moors renamed Southern Spain. But Córdoba is much more, with a labyrinth of narrow streets where white houses have colorful courtyards full of flowers, unexpectedly peaceful plazas, and a magnificent Roman bridge. Granada. The Alhambra, Andalucía’s finest remaining fortress-palace built by the Moorish Caliphs, is a once in a lifetime experience. Stroll around this once-royal city with fountained patios, lavish halls and thousand of precious mosaics, and enjoy the thrilling atmosphere of the former Arab quarter, the Albaicín. Málaga. A briskly modern yet historic city, Málaga still has the atmosphere of a Mediterranean port. The historic center, recently renovated, is a charming and welcoming area, surrounded by traditional balconied houses, narrow pedestrian streets and with an impressive offer of culture and heritage museums. Valencia. Spain’s third city makes a great short-break venue with its quality museums, great restaurants and the stunning architecture of the Ciudad de las Artes y las Ciencias. Not to mention that you may confine yourself to the splendid beaches of the Costa Blanca (White Coast) in the South or the North’s Costa del Azahar (Orange Blossom Coast). Balearic Islands. The fascinating Baleares (an archipelago formed by Mallorca, Menorca, Ibiza and Formentera) offer some of the most spectacular beaches along the Mediterranean Sea. Each of the islands has a different personality and landscape and have endless attractions that go from pristine coves, to craggy mountains, medieval monasteries and a wild nightlife. A universe on their own. Bilbao. The city has managed superbly to reinvent itself from declining industrial dinosaur to modern European metropolis. The most powerful symbol of this metamorphosis is the Guggenheim museum, along with a delightful gastronomic scene.